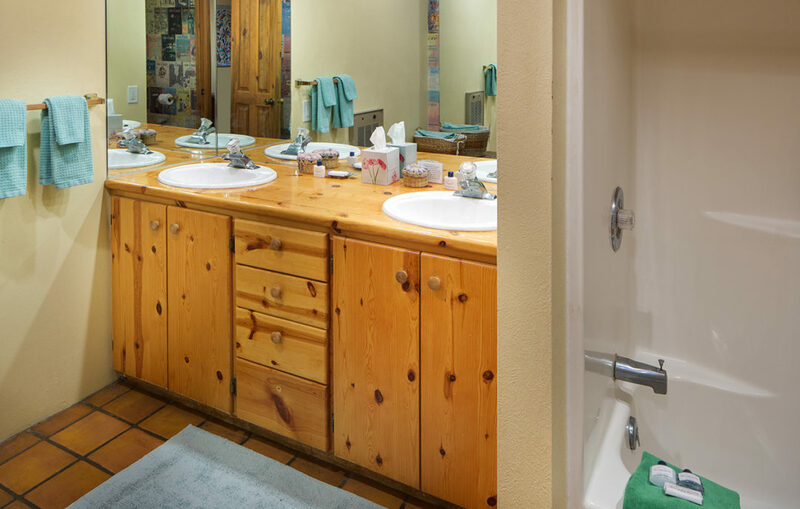 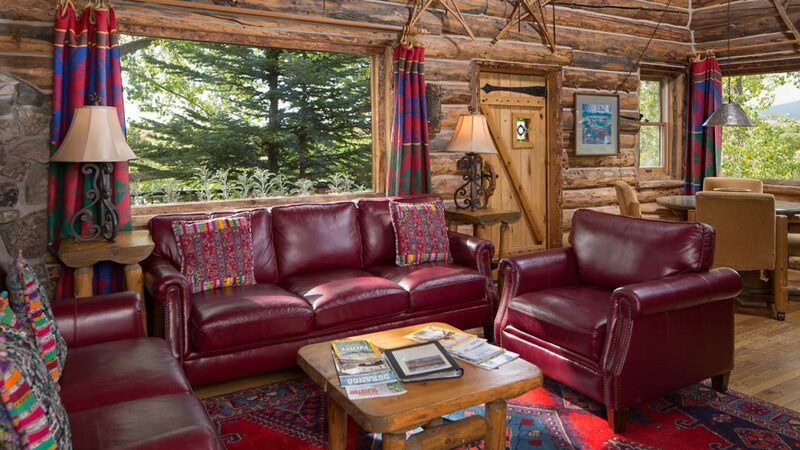 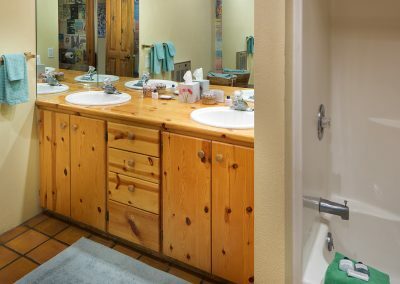 The Cabin on the Lake is the quintessential Colorado log cabin retreat. 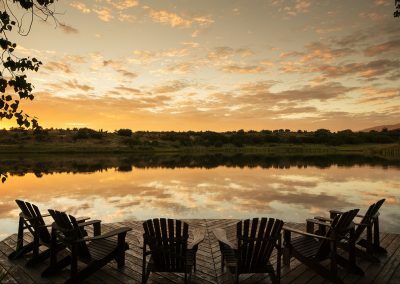 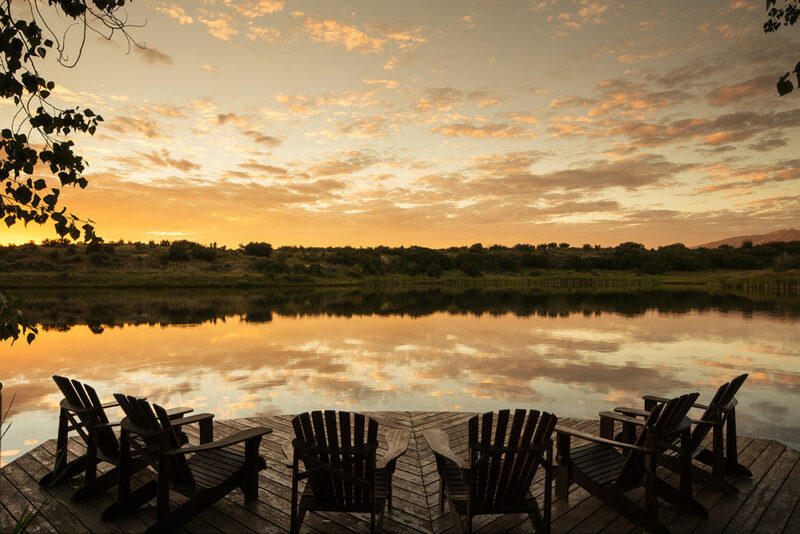 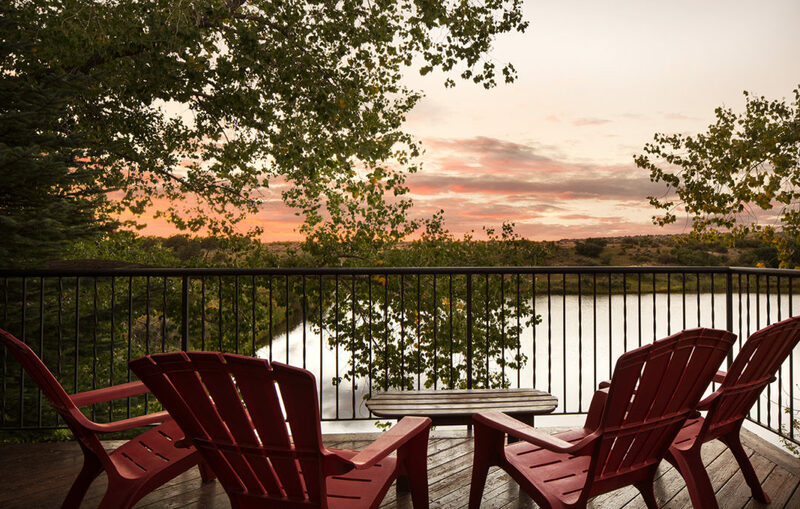 It’s the perfect escape from the everyday for family and friends. 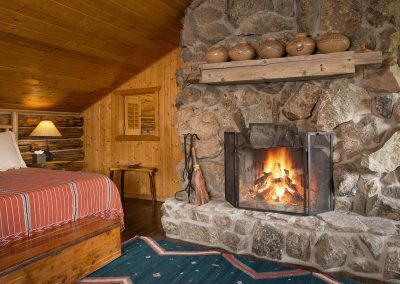 This rustic mountain retreat was built using local hand hewn logs and the large hand-constructed fireplace with locally quarried stones. 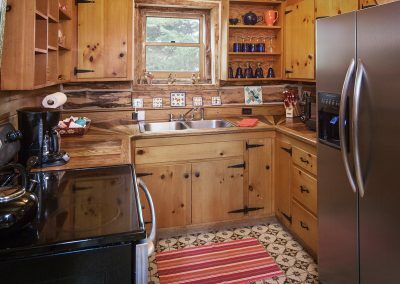 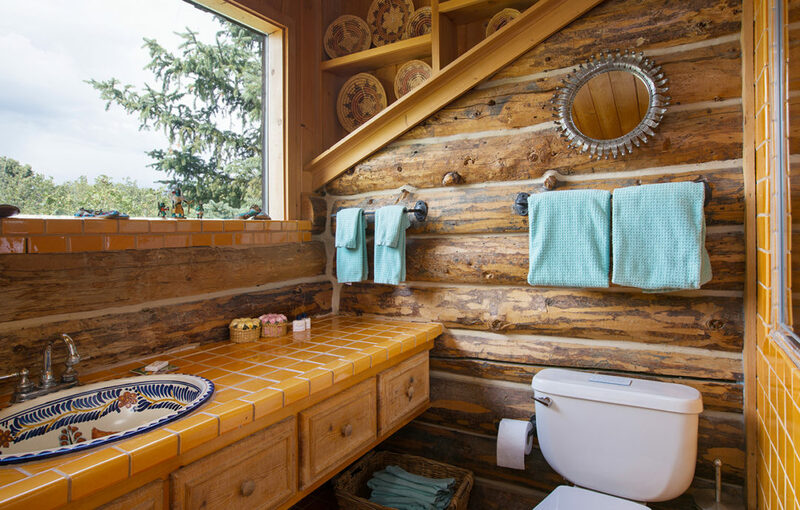 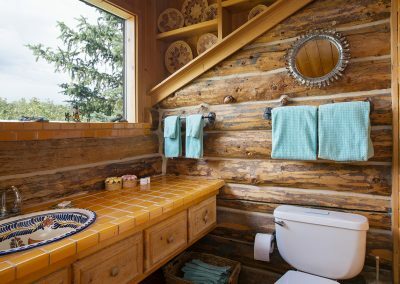 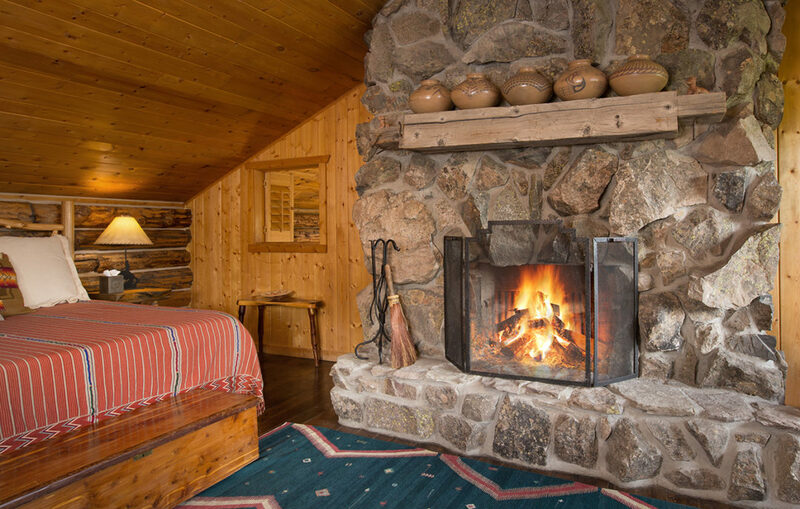 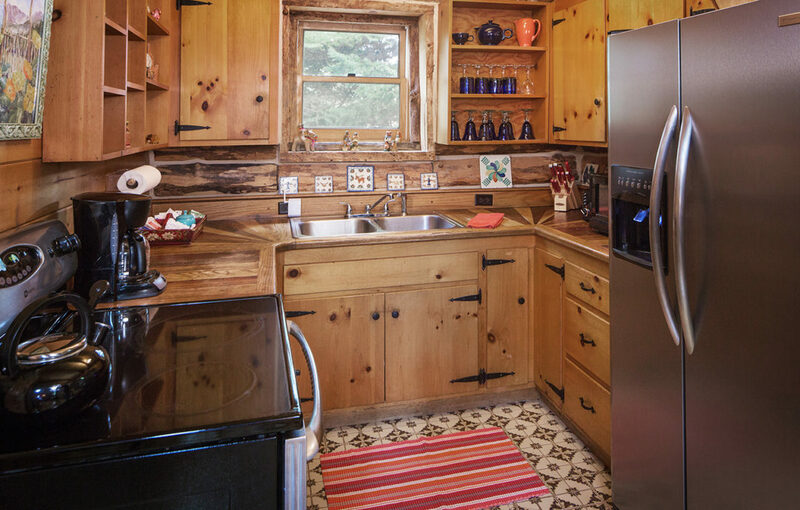 Bring the whole family to enjoy the cabin’s three levels, each with a private bedroom and bathroom. 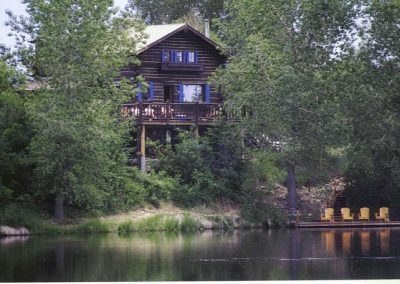 Take in the serenity of trout-filled Blue Lake, the inviting fishing dock and wraparound deck complete with Adirondack chairs. 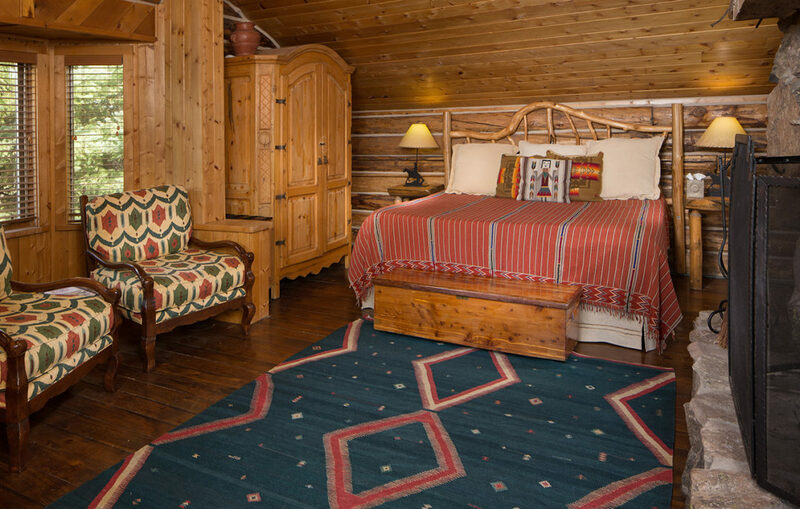 It’s all designed for an unforgettable mountain getaway. 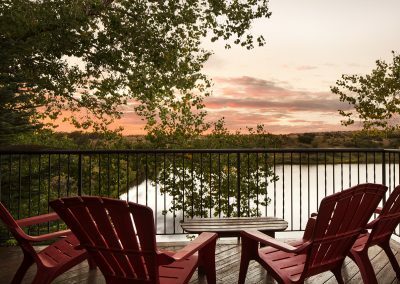 The main floor has a fully stocked kitchen, large wood burning fireplace, comfortable sitting area, dining nook with great lake views, a small bedroom with pillow topped queen bed, and a bathroom. 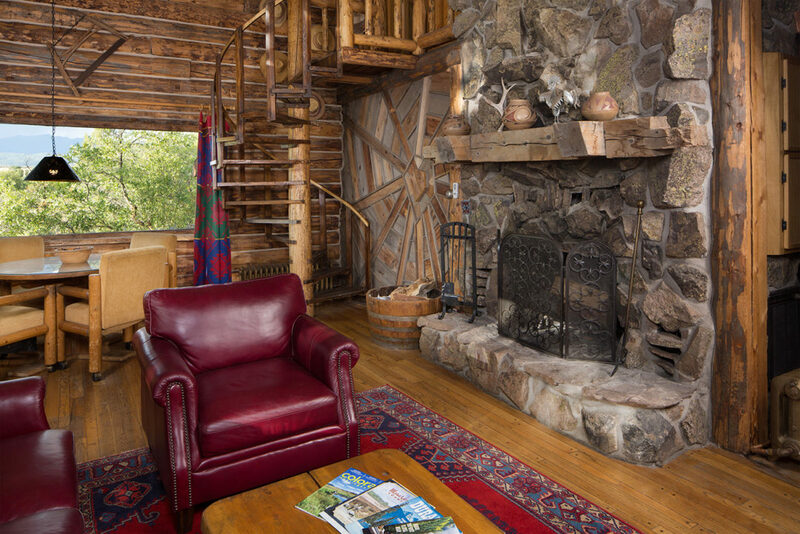 The third story loft master suite is accessed by a wooden spiral staircase. 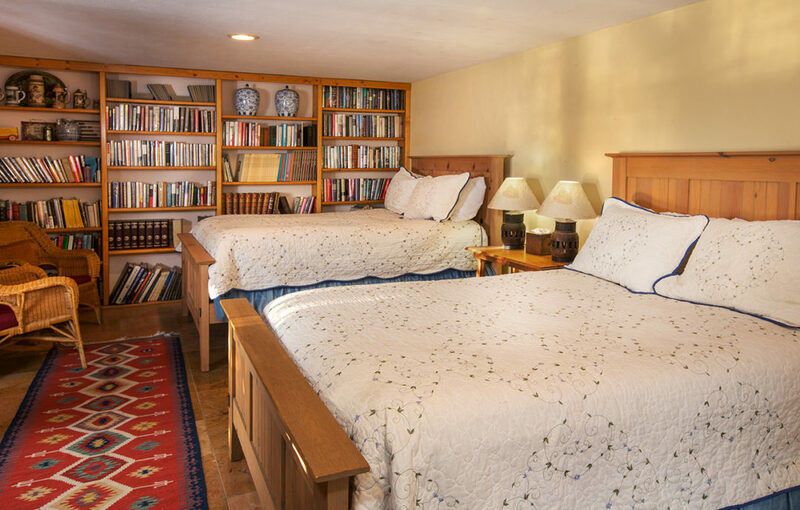 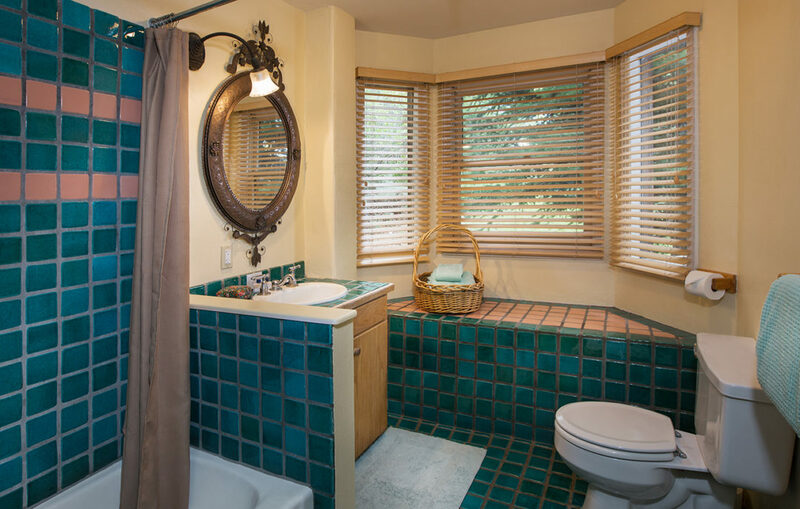 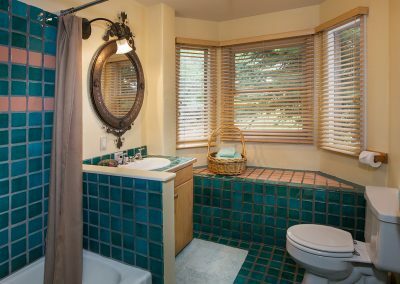 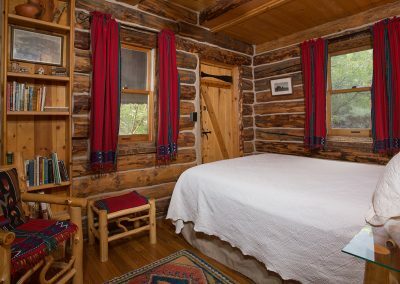 This room is complete with romantic wood burning fireplace, high ceilings, amazing La Plata Mountain views, and a private bathroom with deluxe shower. 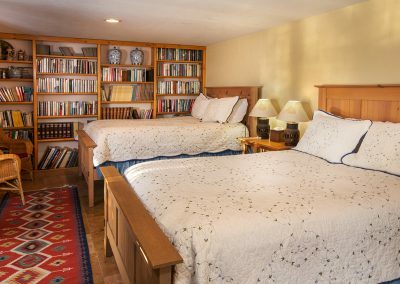 The lower floor third bedroom has two pillow top queen beds and a private bathroom complete with soaking tub/shower combination. 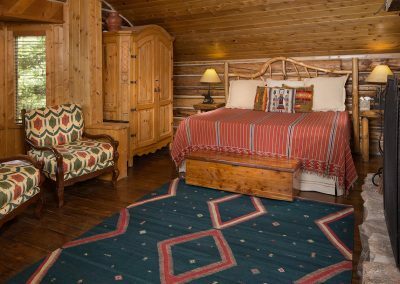 The entire cabin is decorated with historic Navajo rugs and artwork. 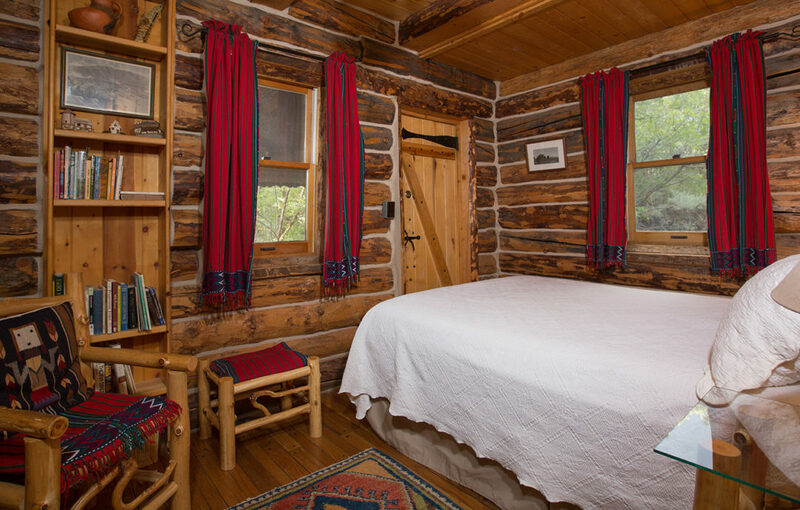 The cabin sleeps up to eight guests.